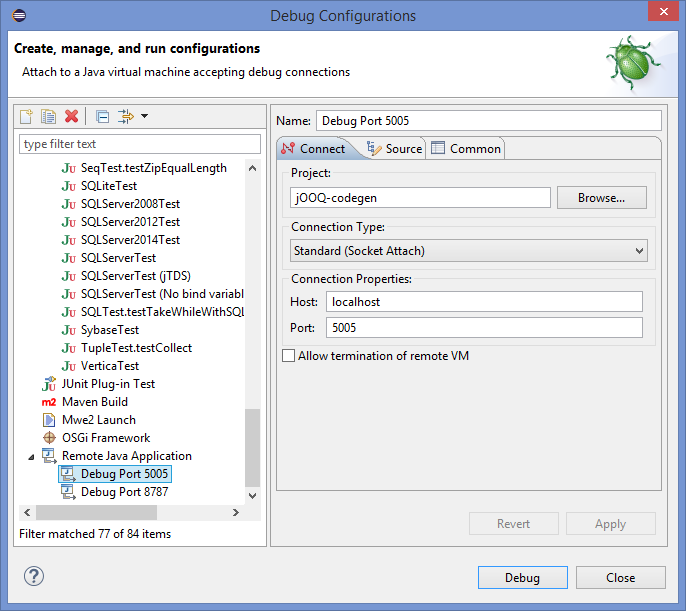 How to Debug Your Maven Build with Eclipse – Java, SQL and jOOQ. I think some of the options in your script (-Xnoagent -Djava.compile=NONE) are a bit out-of-date now – they were only needed with very old JDK versions. The Java 7 documentation (http://docs.oracle.com/javase/7/docs/technotes/guides/jpda/conninv.html#Invocation) seemed to recommend -agentlib:jdwp over -Xrunjdwp, though the Java 8 documentation (http://docs.oracle.com/javase/8/docs/technotes/guides/jpda/conninv.html#Invocation) no longer seems to say that. Perhaps – care to explain a bit more? I’ll be damned. Thanks for the tip!